Berwick Hills Primary is a happy, caring school, with relationships built on mutual respect. Our supportive pastoral systems help children to achieve their full potential and develop a strong sense of responsibility for themselves, their peers and the wider world. Berwick Hills Primary children develop skills for lifelong learning. Achievement and a 'can do' attitude are at the heart of our philosophy; we support this through nurturing pupils’ creativity, encouraging independent thinking and learning and showing that mistakes can be a learning opportunity. 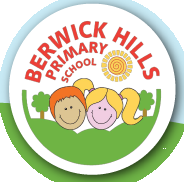 At Berwick Hills Primary School, we aim to meet the individual educational needs of all children in order to enable them to meet their individual potential. We follow the Government’s Code of Practice on Special Educational Needs. Special Educational Needs are the responsibility of all staff within school. With assistance from the LA, the school funds a number of teaching assistants who work with children either individually or in groups, to support learning in the classroom. The school employs a SENCo who coordinates, monitors and evaluates the school’s SEND provision. The school contracts specialist Behaviour Support for children within school and to offer support and guidance to parents. The school works closely with colleagues in Children’s Wellbeing and Learning Department and other care providers to support the welfare of pupils. The school building was constructed in 2011 and is fully compliant with DDA regulations including level access throughout the site, accessible WC facilities etc. Classrooms are fitted with a Sound Field System which projects normal speaking voices around each room to ensure a full distribution of sound. Some classrooms are also fitted with the Induction Loop system. School can access Translation Services if required.